New technologies, combined with a renewed global focus on defence and security, have kicked off a new arms race and every corner, every theatre and every environment on Earth, and in space, seems to be fair game. Despite the immense difficulties, the Navy has been testing and fielding several new systems designed to map the ocean floor, seek out mines, search for submarines and even launch attacks. 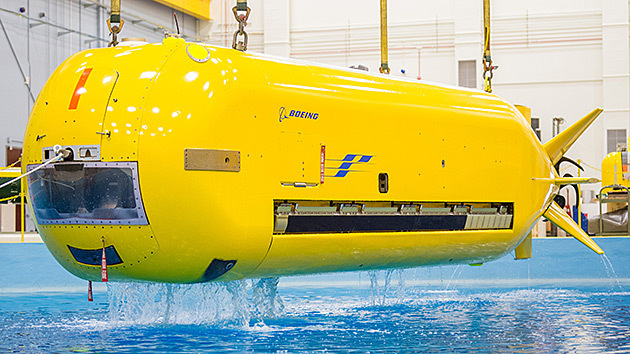 While the unmanned crafts are now able to stay out for days or weeks, the goal is to create an underwater network of service stations that would allow the vehicles to do their jobs for months – and eventually years. Military officials say there is a sense of urgency because the undersea domain, while often overlooked, could one day be as contested as the surface of the sea, the skies – and even space. The Office of Naval Research (ONR), which looks to develop advanced technologies, is seeking to “build the Eisenhower highway network on the seabeds in the seven oceans,” Rear Adm. Mathias Winter, head of the office, said at a conference hosted by the Center for Strategic and International Studies this year. While the project is still in the conceptual stages, the Navy would one day like to build service stations underwater, similar to highway rest stops. There is even a name for them – Forward Deployed Energy and Communications Outposts. While that may be a long way off, the Pentagon is testing vehicles that are capable of going out for weeks or even months at a time. In recent years, Boeing has developed the Echo Ranger and Echo Seeker, autonomous vehicles capable of carrying out days-long operations. 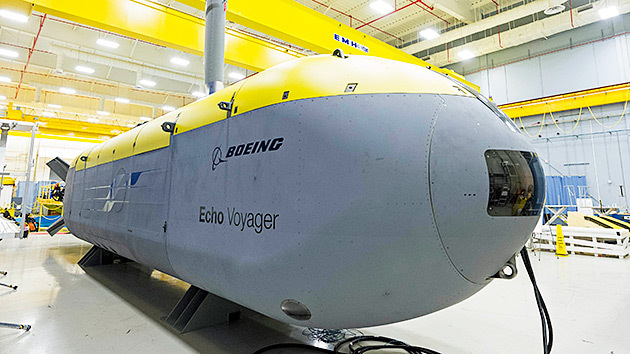 This year, it debuted the Echo Voyager, a 51-foot-long autonomous submarine with the ability to stay out for months which isn’t dependent on a support ship the way others are. “The undersea environment is particularly challenging and unpredictable,” Navy Rear Adm. Bill Merz said at a recent conference.